Plantar fasciitis and Achilles tendinitis are two of the most common causes of heel pain. The expert podiatrists at Animas Foot & Ankle in Monticello, Utah, take an individualized approach to helping patients of all ages get relief from heel pain. They use the latest technology to diagnose and treat their patients, and they make sure to inform their patients every step of the way. To get to the root cause of your heel pain, book an appointment online or over the phone today. If plantar fasciitis goes untreated, you may develop heel spurs — calcium deposits — on your heel bone, which can make the condition even more painful. Another common cause of heel pain is Achilles tendinitis. With this condition, pain is usually in the back of your heel and is the result of overuse or an injury to your Achilles tendon. The Achilles tendon connects your calf muscle to your heel bone. Achilles tendinitis is a common condition for runners, and like plantar fasciitis, could result in bone spurs if left untreated. What are the Symptoms of Plantar Fasciitis and Achilles Tendinitis? If your pain doesn’t improve with rest, stretching, and wearing proper shoes, you may need to make an appointment with the experts at Animas Foot & Ankle to diagnose the cause and find an effective treatment. What are My Treatment Options for Relieving Heel Pain? Your podiatrist will likely take an X-ray to first determine the cause of your heel pain or to rule out other conditions. If your heel pain is the result of plantar fasciitis or Achilles tendinitis, your provider may recommend physical therapy, special exercises, and rest to help relieve your pain. 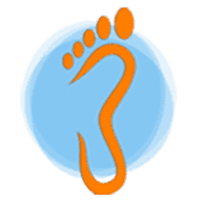 Additionally, your provider may recommend custom-made orthotics to provide better support for your feet, especially if you stand for long periods of time at your job. If more conservative efforts don’t relieve your heel pain, your podiatrist may suggest surgical treatment. To get relief from heel pain, book an appointment online or over the phone with Animas Foot & Ankle today.